Monte Carlo Weekly Photo: An Insect from Jupiter? You do see the strangest things in Monaco. This looks a bit like a large insect, doesn't it? Perhaps from a distant planet? In fact it's an electric motorbike make by a Swiss company - with rain protection thrown in. 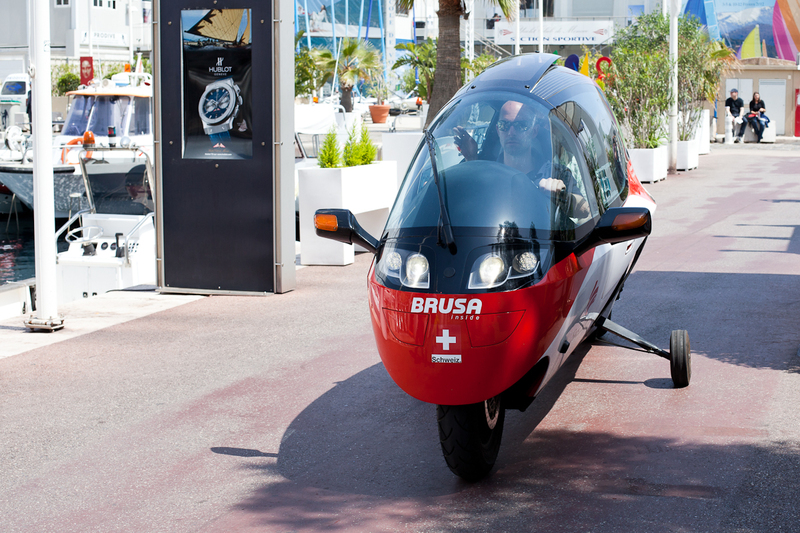 You see many electric vehicles in Monaco. The Principality is keen on promoting a green environment. Yes! I knew it! We finally found life on other planets! Inside that bubble must get very hot very fast on a sunny day.